I could walk up & down the canals in Amsterdam all day & night, they’re so pretty. The canal houses that line them are beautiful and historical. They are all different and are frozen in time, I love them. A few of them are open as museums & one of the best ones I have been in it the Museum Van Loon which has the cutest cafe in the garden where you can sit, relax & it feels like you’re in the countryside. I’m embarrassed to say I have been to Amsterdam 3 times now & I am yet to ride a bike there, I’m terrible at riding a bike & fear that I may cause myself an injury. I always joke to my husband that we should hire a tandem. I think next time we go I will have to bite the bullet and hire one late at night when the streets are quiet and I can practise. It looks so much fun and you can cover a lot of ground which means I could see more of the city whilst feeling more like a local. Have you ever hired a bike in Amsterdam, if so let me know how you found it. Oh & if you have time you need to stop by the Poezenboot (Cat Boat). It’s quite a site, especially if you are a cat lover & opposite the catboat there is a cafe called Greenwoods that does the nicest breakfast, they even have Vegan options. It does get very busy but I guarantee it’s worth the wait. 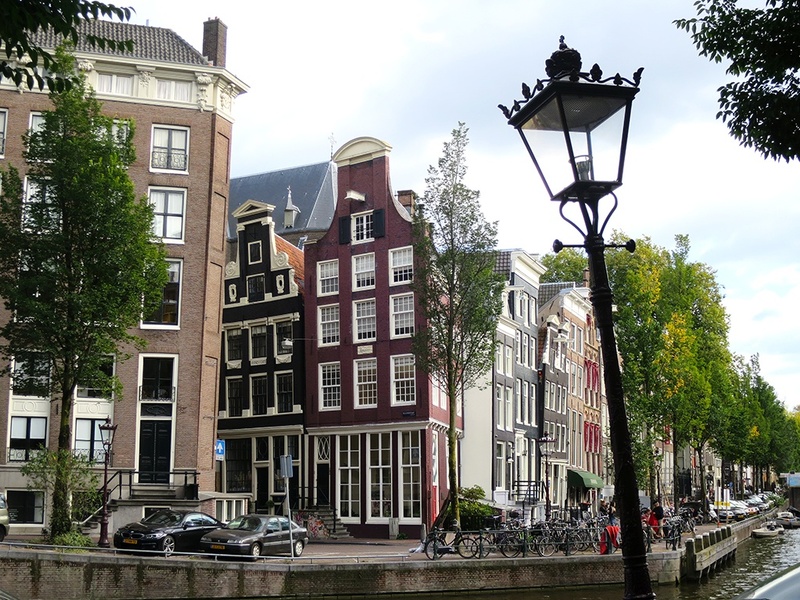 If you do visit the city you must go and have a walk around the streets & canals at night. The bridges are all lit with small lights & even the trees have fairy lights. It feels really romantic & magical.